The GM-U260M USB 2.0 Cat5 extension cable ensures a continuous power and signal stream over the length of a 60 meters of cabling (196.85 ft.) to enable the use of external USB 2.0 devices. Devices can be extended using standard Cat5/Cat5E/Cat6 cable. The USB 2.0 Cat5 Extension Cable ensures a continuous power and signal stream over the length of a 60 meter Cat5/Cat5E/Cat6 cabling (196.85 ft.) to enable the use of external USB 2.0 devices such as USB 2.0 External Hard Drives, Printers, or Scanners. The USB 2.0 Cat5 60 Meter Extension Cable comes in handy where proximity to the host may not be convenient. The USB 2.0 Cat5 extension cable’s initial connection to your host USB port in your desktop or laptop is quick and easy with no software install required, just plug it in and go. Fully compliant with USB 2.0 protocol extension cable. Use Cat5, Cat5e, or Cat6 RJ/45 cabling to extend your USB peripherals up to 60m away. 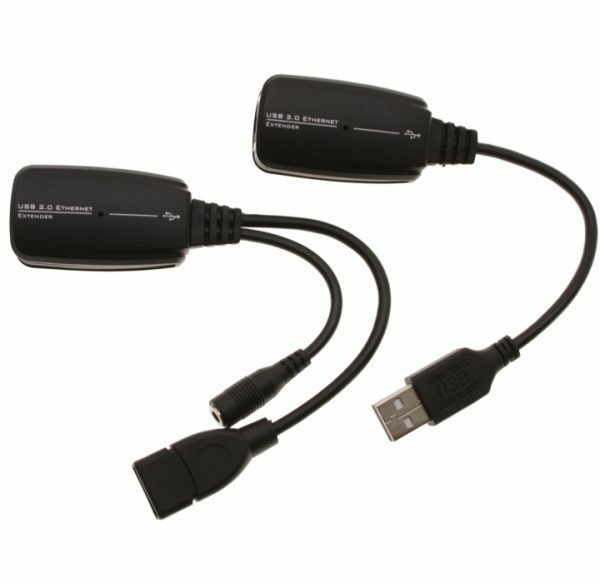 Ideal for use with USB 2.0 cameras, printers, web cams, keyboard/mouse extensions, and any other USB 2.0 devices. Uses standard Cat5 / Cat5E / Cat6 patch cord. Compact design allows for easy placement. 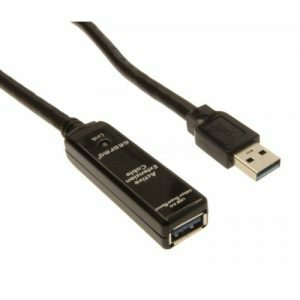 Compatible with USB 1.0/1.1 devices.